Bring your old bicycle to any compactor site, the solid waste department in Prescott or any road shop. Call 913-795-2229 if you need more details about drop-off locations. 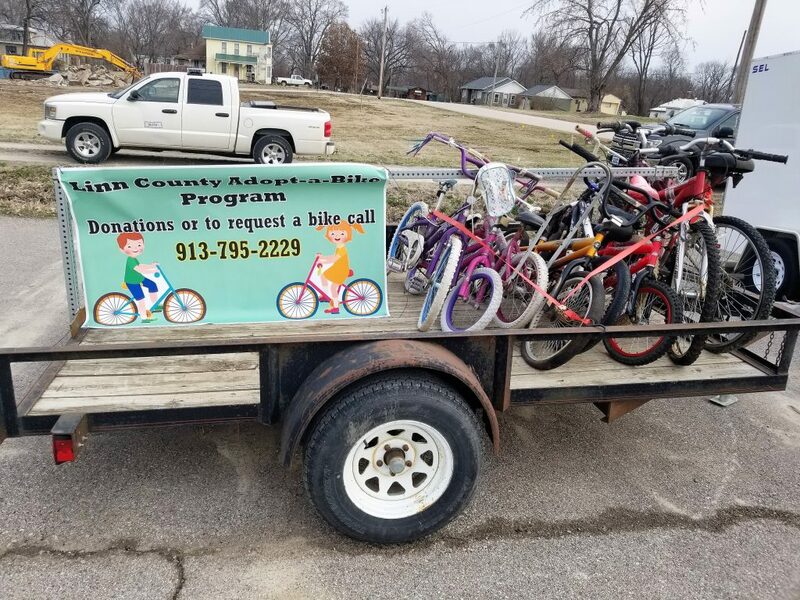 Twice a year (April and October) the bikes that have been collected will be taken to Franklin County. Franklin County then takes the bikes to Ellsworth Correctional Facility. The inmates at Ellsworth will refurbish all of the bikes. Visit this page to learn more about the refurbishing. The refurbished bikes will then be brought back to Linn County for the people who have applied for a bike. Do you know someone who would like to receive one of the refurbished bikes? The bikes that are returned to Linn County are not the same ones that were donated. Fill out this form to request a bike for someone you know.